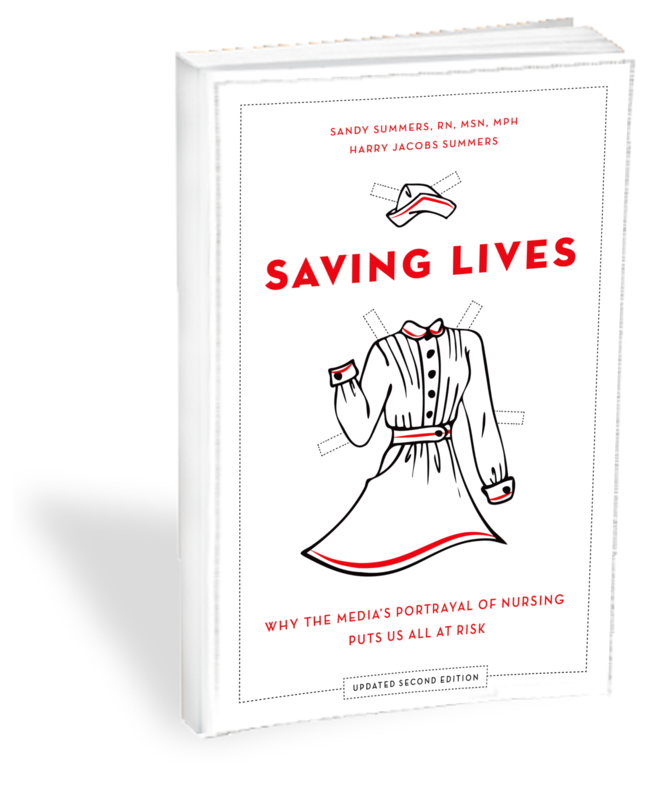 Oxford University Press announces the publication of The Truth About Nursing's new book Saving Lives: Why the Media's Portrayal of Nursing Puts Us All at Risk. With striking examples and an irreverent style, the book explores nursing stereotypes from TV shows to the news media, and it explains how these images affect real-life decisions about nursing. The book also offers a comprehensive plan to help everyone improve nurses' image--and public health. Get a free copy when you become a member! November 1, 2009 -- Today the book Saving Lives: Why the Media's Portrayal of Nurses Puts Us All At Risk has received the 2009 International Award for Nursing Excellence in Public Print Media from Sigma Theta Tau International, the Honor Society of Nursing, at the group's biennial convention. Popular TV shows like Grey's Anatomy, ER, and House lead people to think that nurses simply push gurneys, drive romantic plots, and provide a human backdrop for the real action. However, those of us among the 12 million nurses worldwide know the reality is far more fascinating, demanding and important. Written by the leaders of The Truth About Nursing, the organization at the forefront of challenging and changing representations of nurses, Saving Lives highlights the essential role nurses play. It explores the public's perception of nurses and spells out the greatest myths about nursing, drawing on examples from television shows, ads, news, and other media. Saving Lives exposes the media's role in reinforcing stereotypes that help fuel the nursing shortage. But it is also a call to action. Saving Lives offers concrete steps to help nurses and their supporters educate the public about nursing. For millions of people worldwide, nurses are the difference between life and death, self-sufficiency and dependency, and hope and despair. Nonetheless a lack of appreciation for nursing has contributed to a global shortage that is one of our most urgent public health crises. There are not enough nurses available to monitor patients, provide high-tech treatments, advocate for patients, and teach patients how to live with their conditions. Poor understanding of what nurses do undermines claims for adequate staffing, and leads to a lack of resources for nursing practice, education, and research. All of that means worse patient outcomes, including death. Saving Lives is destined to change public perceptions, thereby empowering nurses and helping them get the respect they need to save lives. In our imperfect state of conscience and enlightenment, publicity and the collision resulting from publicity are the best guardians of the interest of the sick.